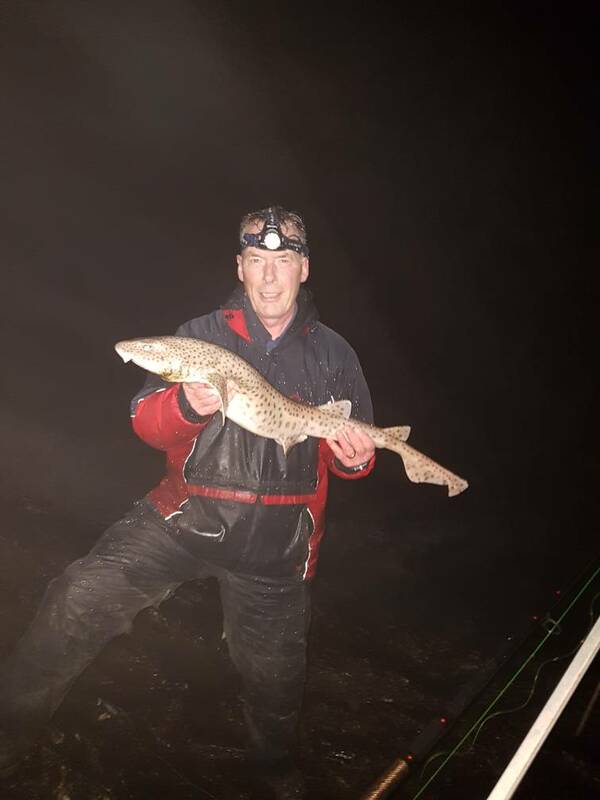 Fished from 1.30am down to low at 6.15am with Tony....met 3 lads who were just leaving and they said it fished poorly with just 4 thornies between them in 12 hours.....dogs were the only biters until 2.45am when i had 2 thornies and my annual spotty of 2lb which was a nice change....i`ve had my fun there for this year as i can`t abide trying to get through the dogs. Tony spent the night pulling dogs in. Well done fellas, thought a few huss would have made an appearance, a few thornies and a nice little spotty for your efforts though laaa.Is right.